The theater was first unveiled last year for the official launch of the iPhone X. It is also likely to be the site for this year’s iPhone debut, although Apple has yet to officially announce it. Reminiscent of some of the most distinctive Apple Store, people gain access to the Steve Jobs Theater by entering at ground level and then descending to a subterranean showroom. This can be accessed either via a spiral staircase or using one of two custom elevators. These elevators rotate as they descend, so that passengers enter and exit through the same door, even though they do so from different directions. The Steve Jobs Theater itself boasts a retracting wall, behind which is located a hidden product testing area. It’s not clear at which point Apple decided to name the theater after Jobs. During construction of Apple Park, Tim Cook shot down suggestions that the new campus be named after Steve by saying that this is not something Jobs would have wanted. Apple patenting a building design is not uncommon for the company. It has previously done so for the exterior of some of its Apple Stores — and even for the iconic glass staircases inside (which Jobs helped design) and even the layout of the retail experience. 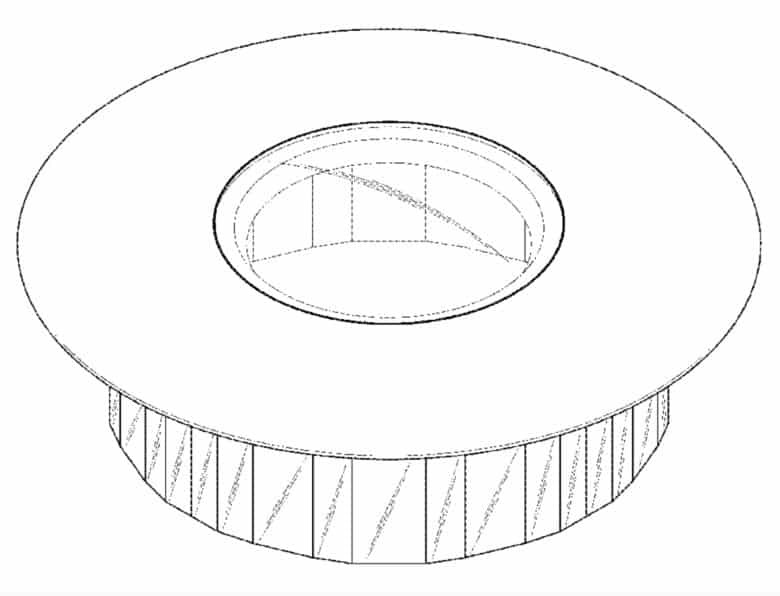 The newly published design patent application (titled “Building”) doesn’t offer too much new information, although it does include the names of the designers. 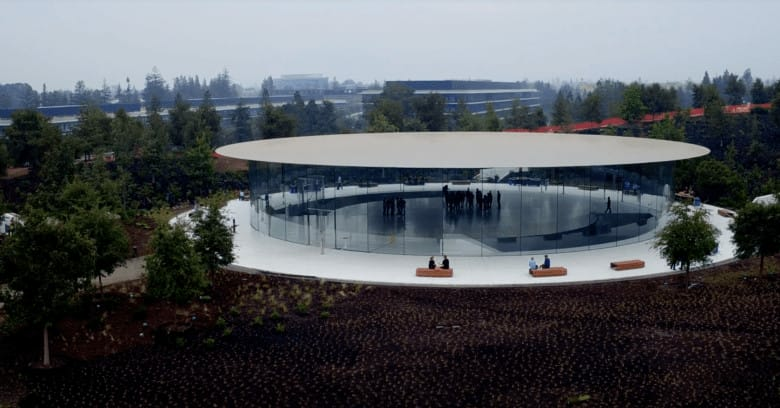 These include Doo Ho Lee, director of design at Apple Retail Real Estate & Development; Ted Nordstrom, Architect and Senior Design Manager in the Apple Retail Americas Design Team; Winston Shu, principal at Integrated Design Associates, and Mung Fei Yim, a senior designer at IDA.